I had been struggling with my Apple Macbook Air for a few years now. I was really excited when I started to read about Apple was likely releasing a new Macbook Pro this year. There had been rumours about having a new LED bar. However, by mid August, it was seemingly clear that Apple was unlikely to release a new Macbook Pro by September. The one feature I absolutely needed to have in my new personal laptop was USB-C. That only left me with the choice of the 2016 Apple Macbook. Many people have complained about how severely underpowered it was and the choice of an M-class processor was a mistake. There were also a number of complains about just having one USB-C port. This was compounded that USB-C wasn’t a common standard yet. Despite all those things against it, I decided to bite the bullet and went ahead to purchase it anyway. For context, this isn’t my workhorse computer. The use case for purchasing this Macbook was the same one as buying the Macbook Air in 2013. Admittedly, I was really nervous about the purchase. The primary question was – would it be powerful enough to do what I needed it to do? I decided to purchase an Apple Macbook in store. Besides browsing, the other key activities that I would want this laptop to be able to do is to handle Microsoft Office as well as the programming that I’ve been doing lately. I fully expected that Microsoft Office would work just fine. I wasn’t sure how this machine would handle my development. So I decided to put it to the test – I installed ruby, rails and ran a few servers using docker on a virtual machine. All in all, the machine performed as it did on the Apple Macbook Air. At that juncture, it was clear that the Apple Macbook would be a worthy replacement of the Apple Macbook Air from a performance perspective. The physical machine is quite nice. I picked up a 512 GB, m5 1.2 GHz Intel processor with 8 GB of RAM that is a space grey colour. 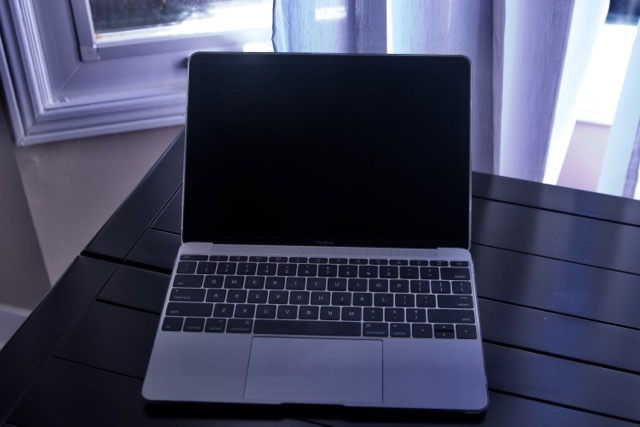 The physical dimensions are that it’s 11″ in diameter and 2.03 lbs in weight making it quite a bit smaller and lighter than the Apple Macbook Air. The screen is quite nice. I run it at its full resolution at 1440 x 900 which is the same resolution as the 15″ non-Retina screen. It also uses the butterfly keyboard which gives it a very short travel and comes with the haptic feedback touchpad that was released last year. Having a single port hasn’t been an issue for me as the majority of the things I need to do is wireless. I also rarely plug in my Apple Macbook to an external screen as I often have other devices that I do that with. The one downside though is that the battery life is quite a bit shorter than the Apple Macbook Air as when it chews through batteries quite quickly when you need to do any kind of heavy lifting. I can typically get a full day’s worth of work out of it but not much more then that. All in all, the Apple Macbook is a decent machine. However, by itself, it isn’t a laptop that’s worth writing about on its own. The thing that makes it awesome is it’s part of an entire USB-C ecosystem in my life right now. Over the past few months, I’ve replaced my Nvidia Shield with an Asus ZenPad S8.0 as well as the HTC One M8 with the LG G5. That means that all of my primary portable devices are now powered using a USB-C port which was one of the technology decisions I made last year. The end result is that my power needs are a lot more streamlined freeing up space in my bag while giving me a lot more flexibility while I’m on the move. This combination makes the Apple Macbook the perfect computer for my mobile needs.